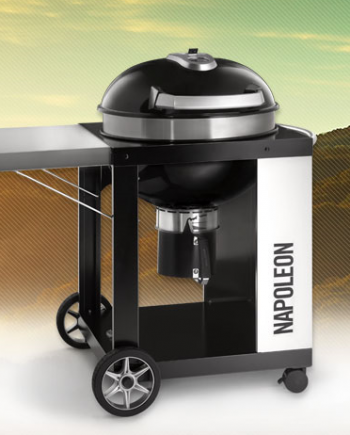 Napoleon’s Triumph 325 Gas Grill provides a top notch grilling experience in a small space grill. Three burners fill this grill, with 35,500 BTU’s of power. 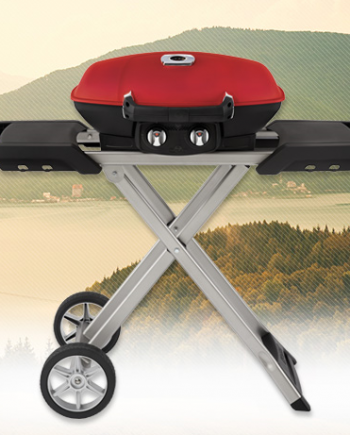 Convenient locking casters and easy to use folding side shelves allow you to save space by tucking this grill away when you’re not using it. 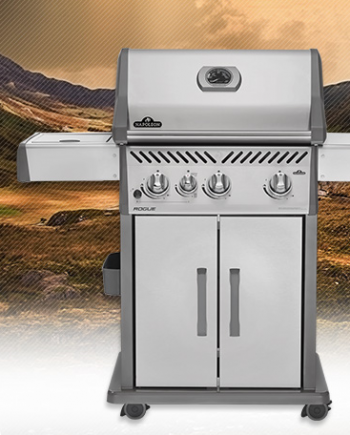 Perfect for small families and occasional grillers with discerning taste, the Triumph 325 Gas Grill with Range Side Burner, by Napoleon, will meet all of your grilling needs. Triumph over the burnt burger blahs with a capacity of up to 18 hamburgers at once on easy to maintain, nonstick, porcelainized cast iron cooking grids. Small spaces aren’t a problem for these grills. 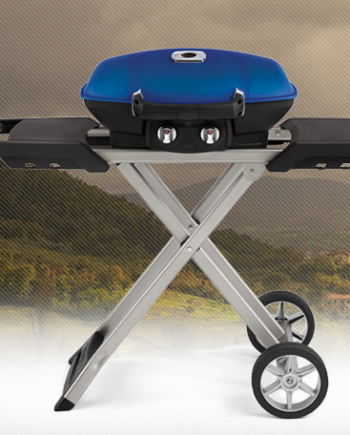 Napoleon’s Triumph Series feature convenient folding side shelves and locking casters so that you can tuck your grill away when it’s not in use, or bring it to where the action is. The integrated bottle opener means you can stay with the party not miss out on the fun while searching for an opener in the junk drawer. You can cook your whole meal on the grill with the convenient range side burner, giving you more time to spend enjoying the meal, instead of running back and forth to the kitchen. 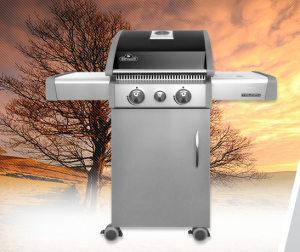 Durable stainless steel construction and an affordable price tag round out the features of the Triumph Series 325, making it the grill that will fit all your outdoor space needs.